We're expanding! Quite literally, in fact. In case you have not heard, my husband and I are expecting our first baby boy who will be joining us in March! We're so excited to meet him, and I'm also curious to find out how my cooking and eating life is going to change. Both immediately after birth when I probably won't have much time to cook, and also a little bit later on when I will have to cook for the little one. Any tips from experienced parents are always welcome! With a busier pregnant life (I've never had to go to so many appointments in my life lemme tell ya! ), I didn't send out a newsletter last month, so this one is a double update! A heads up about a change around the site. 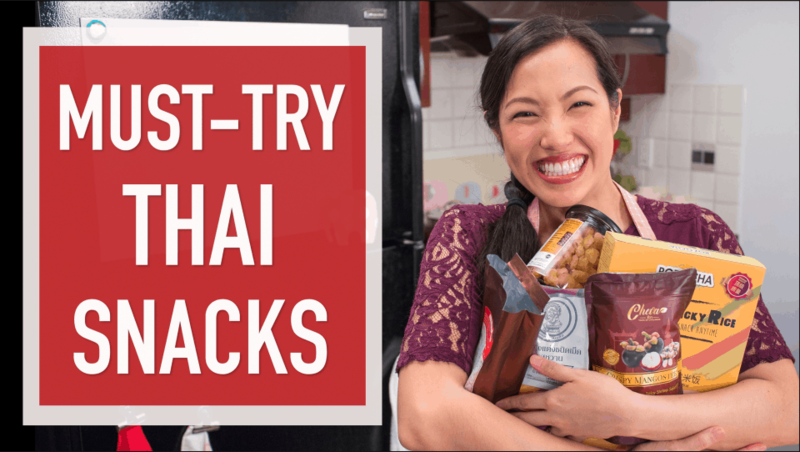 Up until now I've maintained two separate websites for my 2 shows: HotThaiKitchen.com (HTK) for all my Thai recipes, and PaisKitchen.com (PK) for all the non-Thai food recipes. In order to help people find recipes more easily, we've decided to consolidate two sites into one—so PK will get absorbed into HTK. We're realizing that people don't always know which site the recipe might be on, or some people don't even realize there are two sites at all, which can make it hard to find a particular recipe. 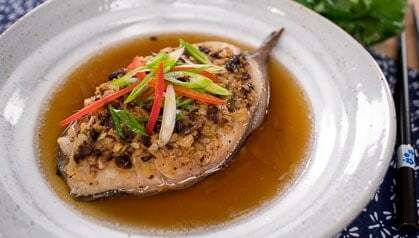 So you can now find ALL my recipes under the main site HotThaiKitchen.com. To be clear, Pai's Kitchen will still continue as a show on YouTube, it's just the WRITTEN recipes have moved. Any previous links that you have on PK will still work, but they will now redirect to its new location on HTK. I hope this will make it easier for you to find my recipes! It's certainly going to be easier for me to maintain 1 website rather than 2. If you have any questions about it, please don't hesitate to get in touch! 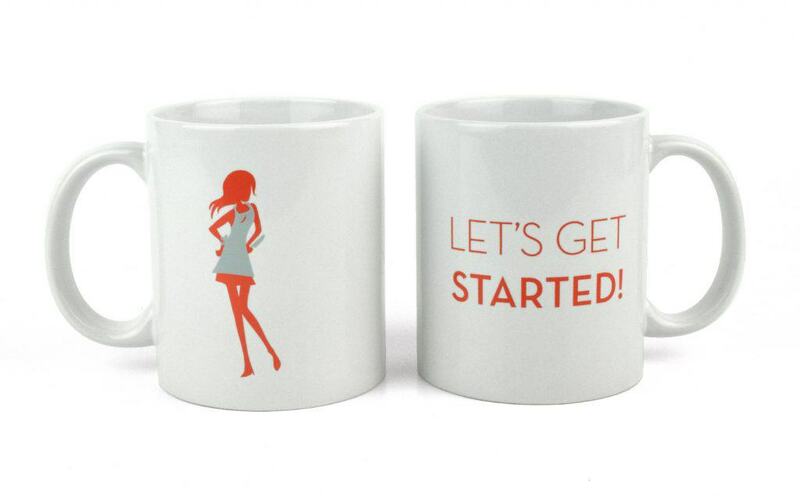 I am so excited to be adding a coffee mug to my merch store for the holidays! This design was suggested by a viewer and I just love it. A little morning affirmation while I drink my morning coffee is exactly what I need. Visit the store here! HOLIDAY GIFT IDEA: PERSONALIZED VIDEO MESSAGE FROM ME! 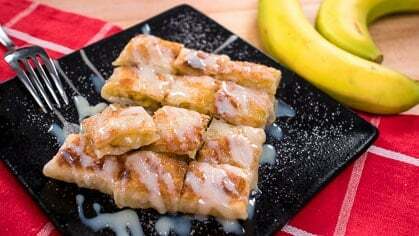 Thai roti is one of THE most popular snacks/desserts amongst visitors to Thailand! And with a little bit of work and patience, you can enjoy this iconic street food at home! 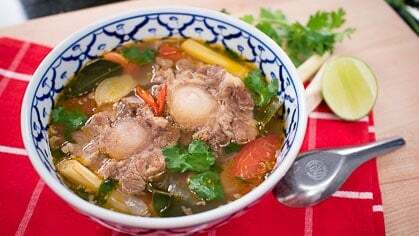 Oxtail soup may not strike you as a dish that sounds particularly Thai, but yes in fact we do have our own version of it that's lighter than most Western oxtail recipes but still comforting and soothing for the winter. 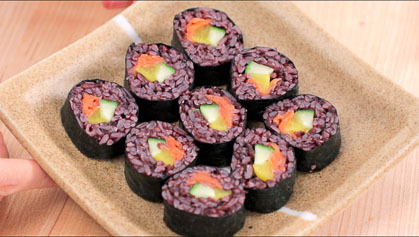 There are so many things you can do with brown, red and black rice beyond just cooking them up as a side dish! Watch this video to find out more. Get cooking! Have you ever been intimidated by the soy sauce aisle at the Asian grocery store? 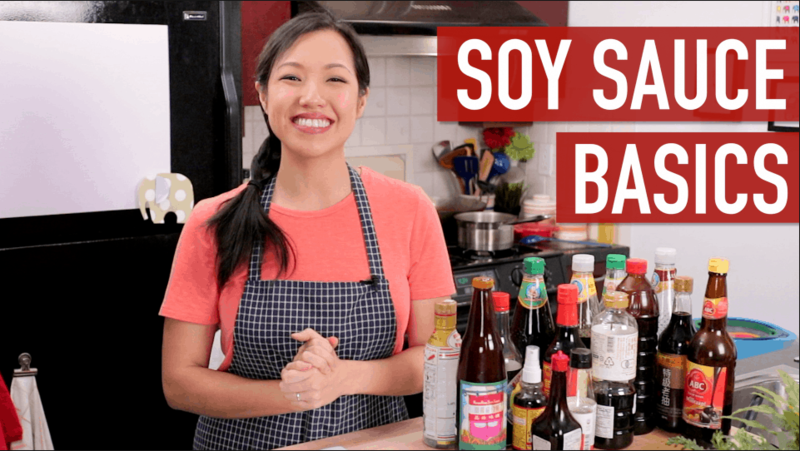 Here's a video that breaks down everything you need to know so you can pick the right soy sauce for the right recipe! Check it out! The ultimate comfort dessert! Chewy, mochi-like dough is stuffed with a sweet, nutty sesame filling. A warming ginger tea makes everything go down that much easier. Another way to experience Thai food culture is to try our snacks! Snacks make up a big part of our diet. And here are some treats from Thailand you can buy on Amazon.com. 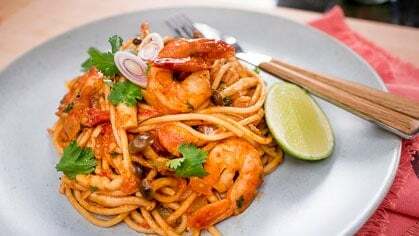 Tom yum and pasta, the perfect marriage Tom Yum Spaghetti is a true flavour bomb! It's one of the most popular Thai pasta dishes in Thailand, and it is no doubt my favourite! 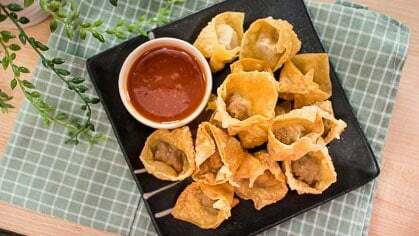 This fried wonton recipe makes the most munchy, addictive snacks that are perfect for a party this holiday season! 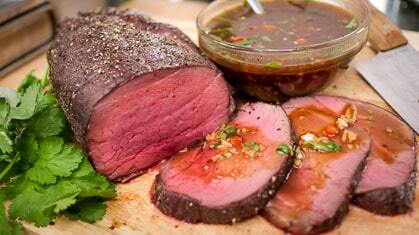 Here's a gift guide for all the foodies in your life! These are items that I have and love, or just things that I think are generally cool and would make great gifts! 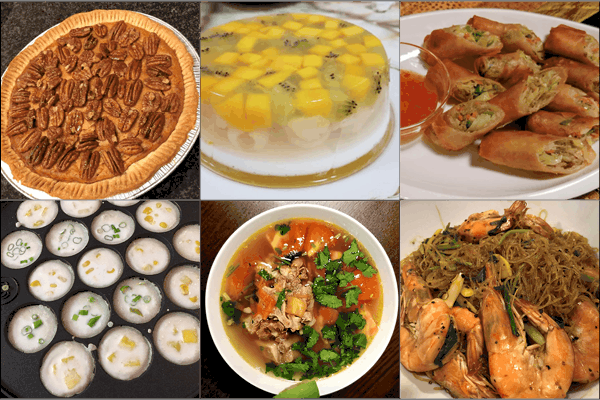 White Chocolate Pumpkin Pie by @nina_theatlfoodie; Agar Jelly Fruit Cake by @traveljunkie1560; Spring Rolls by Wood M.; Kanom Krok by @dragonqwst; Oxtail Soup by Matt M.; Ginger Shrimp and Glass Noodles by Stephanie L.